Team is a group which have a common aim and in which the members rely on one another, communicate and interact with one another and acts in unity to achieve their common task. Team work is a popular buzz word for all industries and every position requires that an employee work closely with others. In a team building process the members of a team has to be assigned with a clear purpose and role of their job. 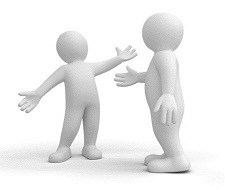 Experts in the team should communicate and interact with there knowledge and experience with the other members. Do you prefer working alone or in team? Why? What do you value most in a teammate? What are the areas you suggest where your team need a little polishing? Can you give me one or two instances where you think that your contribution to your team was vital? Tell me about a project where you think that your team has achieved the result? Tell me about a time when someone of your team was negative about an outcome and how did that affect you? How will you react when you noticed a team member is slacking off? Tell me about a time when you coordinated a project or event? Tell me a situation where you had to make an unpopular decision? What you think about that decision? Tell me one of your accomplishments that you are proud of?